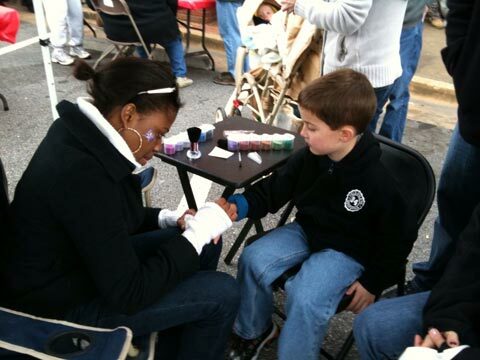 In addition to the great food, we were there to make sure everybody was in a great festive mood! 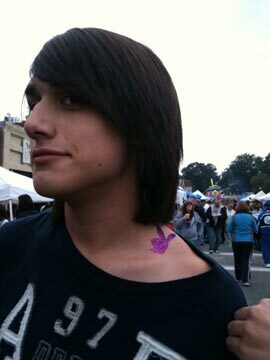 we covered the crowd with glitter tattoos! it was very cold outside but it didnt breake the spirit! both adults and kid were visiting our booth to get decorated for the weekend, we had a GREAT time and we will be there again this year ! 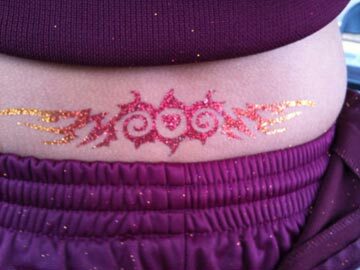 At Glitterazzi we specialize in only temporary glitter tattoos. their face painting and body art is superior. Our artists each learn how to make sure everything is done to make the client sparkle. Each client gets a new stencil and all brushes are cleaned before each use. I would appreciate if a staff member here at www.sparklingtattoo.com could post it.